I. Executive Summary: Tarrant Regional Water District (TRWD) requests expansion of an existing 2250± acre easement in order to enlarge a constructed wetland project for the purpose of treating water from the Trinity River. II. 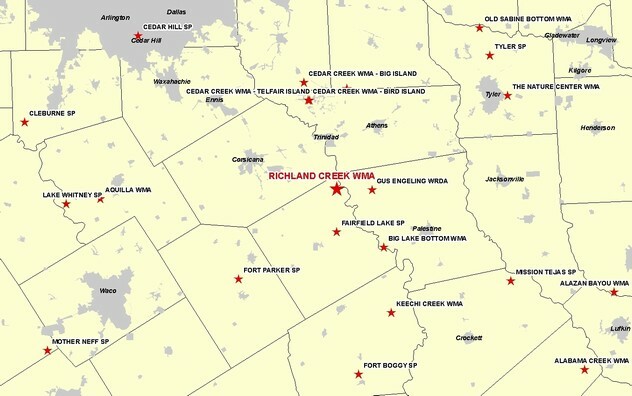 Discussion: The Richland Creek Wildlife Management Area (WMA) is a 13,783-acre site consisting of bottomland forests, previously cleared agricultural lands and riparian forests along the Trinity River. 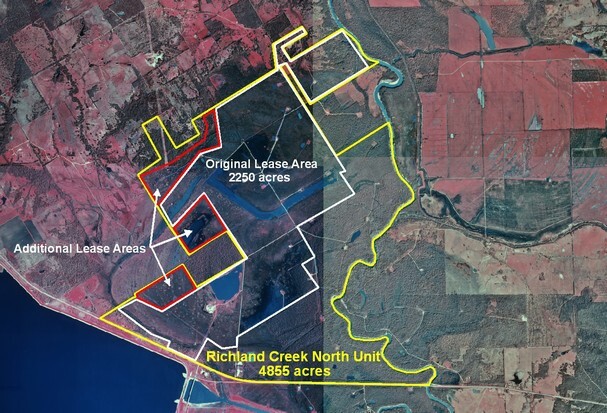 It was formed in 1987 as compensatory mitigation for wetland impacts associated with the construction and inundation of the Richland Chambers Reservoir. In 1996, Texas Parks and Wildlife Department (TPWD) entered into an easement and a Memorandum of Understanding (MOU) to allow the conversion of up to 2000 acres of land, largely former agricultural land, to constructed marshes. Water would be pumped from the Trinity River into these marsh cells at one end, and pumped from the marsh cells into the Richland Chambers Reservoir at the other end. This process removes significant levels of nutrients and sediment from the water, resulting in significant savings to TRWD when the water is treated for distribution to consumers. The constructed marshes, if managed properly, have very high biological value for native fish and wildlife, including migratory waterfowl. Upon assessment of a 300± acre pilot project, it has been determined by TRWD that 530± acres, in addition to the 2250± acres already under easement, is needed to achieve the desired quantity and quality of water treatment. Staff of TPWD and TRWD has spent several months negotiating changes to the MOU and easement that will assure the maximum value for fish and wildlife resources while respecting the water treatment purposes of the project. "The Texas Parks and Wildlife Commission adopts by Resolution in Exhibit A, authorizing the Executive Director to grant this land easement in Freestone County." 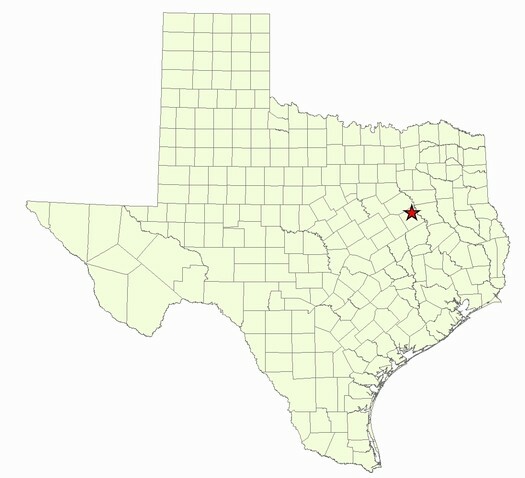 Whereas, the Commission finds, in accordance with Chapter 26 and Section 13.009 of the Texas Parks and Wildlife Code that (1) granting the Easement to TRWD is in the best interest of TPWD; and (2) there is no feasible and prudent alternative to granting the easement to TRWD for the achievement of desired wetland values on the WMA. Now, therefore, the Texas Parks and Wildlife Commission authorizes the Executive Director to take all necessary steps to enter into an easement to TRWD for the purposes described herein. Adopted and approved this 26th day of August 2010.